Not even sure what to call this one. I drew it last night and colored it today, I hope you like it. Click on the image for a larger version. 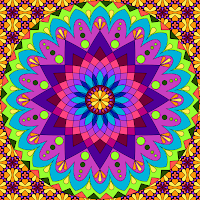 Check my sidebar links or the tags under this post for lots more coloring pages and mandala designs. wow! my kids love to color and this is amazing! 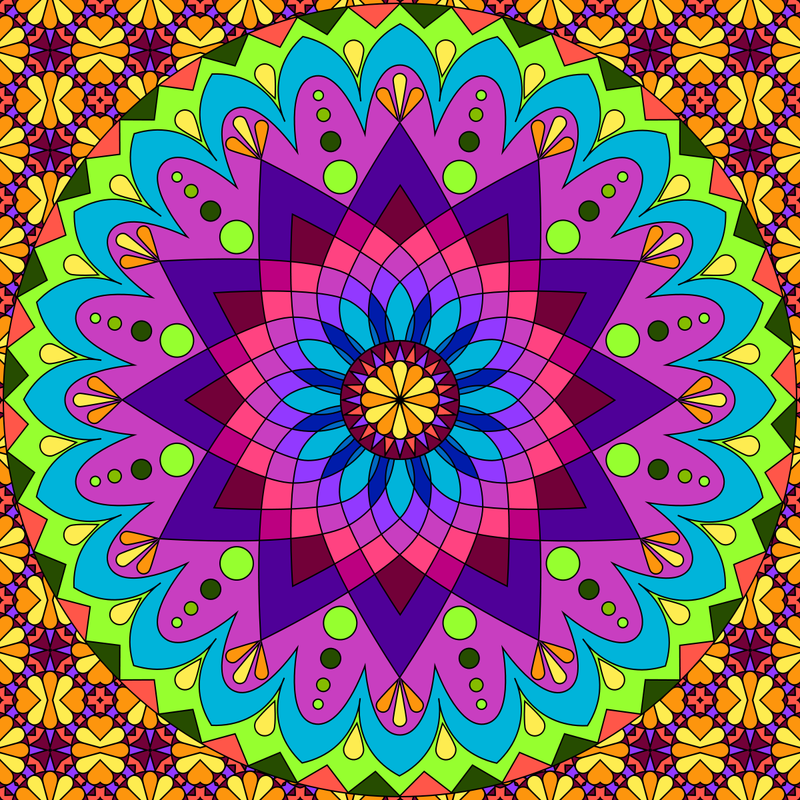 Out of all the mandalas I've ever colored, this is my favorite, the one I come back to over and over. It makes my mind and thoughts very happy and calm and I can imagine that I am in a cottage in a forest. Funny how that works. Thank you so much for the happiness you have brought to my stressed life. these are so great to colour me and my kids love to colour it makes me and my kids smile haveing such a great time colouring.